If you, as I think it funny when heights tickles a little in the stomach, then the Spanish town of Ronda is certainly the place to visit next time you travel around in Andalusia (Spain). This beautiful town is located at the Serrania de Ronda Mountains, approximately 100 km west of Malaga, perched on a plateau. 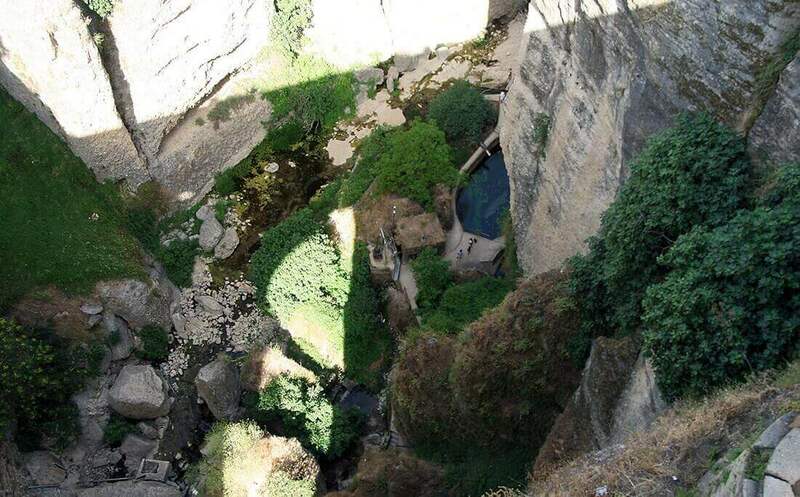 The river El Tajo is cutting a 120 meter deep canyon devides the city in two – the older and Moorish town La Ciudad and the modern El Mercadillo. We drove to Ronda to experience this dramatic town and although the drive there was long, we walked around the fierce Andalusian summer heat, we were not disappointed! The town surprised us with the historical buildings and peaceful town life. Especially the absolutely indescribable view you have beyond Ronda mountains, while standing on the bridge that brings together the town, Puente Nuevo. Ronda is one of Spain’s oldest towns (from the 9th century) and the narrow streets oozed history! Sebastian went from door to door, thrilled with his meeting with real houses from “the olden days”. Carvings, decorations, lanterns and flowers decorate the houses and gives the story idyll and the fierce Spanish afternoon light charm for every penny. The most fascinating is the canyon. To look into it, is like disappearing into a dream of rocks and green plants, only to end up in a bottomless pond that in your mind goes right down to the Earth’s inner core. Besides the dramatic canyon through the town, we also went up into a tiny church tower to see the town a little from above. The Church is highly recommended to experience – The Church is called “Iglesia de Santa Maria la Mayor”. We also recommend a good handful of other things you can experience when you are in Ronda. Among other things, you can experience one of Spain’s oldest (and largest) bullfighting arena “Plaza de Toros” which has existed for over 200 years. Ronda has also some interesting museums. 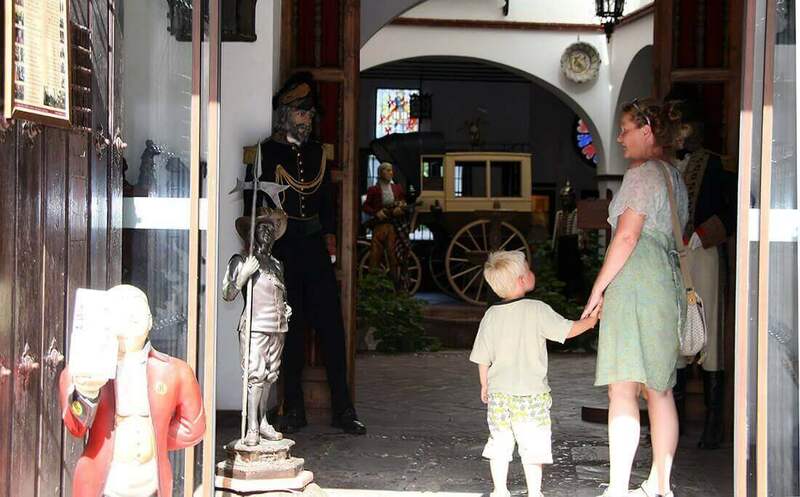 We visited “The Museo Lara” which was filled with historical stuff. It was a huge experience for Sebastian, who, however, could get a little afraid of the very life-like dolls that stood around in the museum. 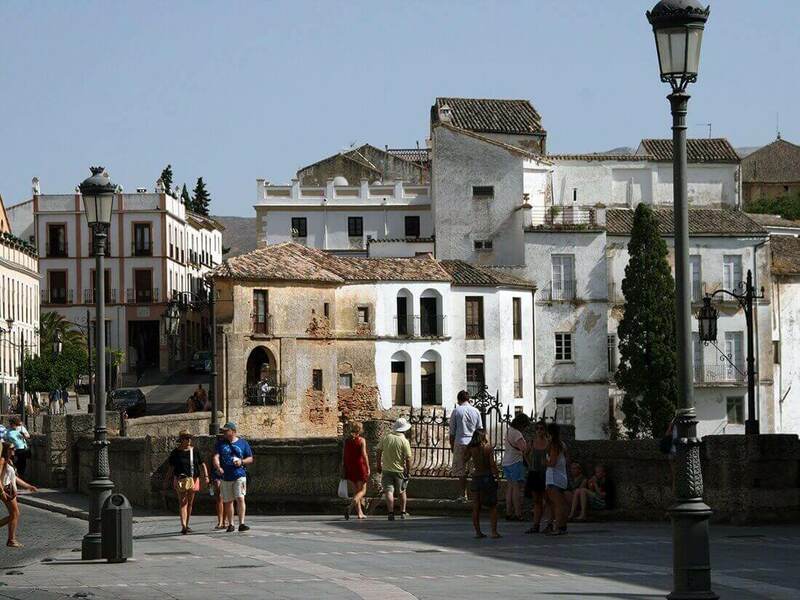 Andalusia offers many beautiful adventure – Ronda is one of them! Next articleThis is why, Singapore is worth a revisit!